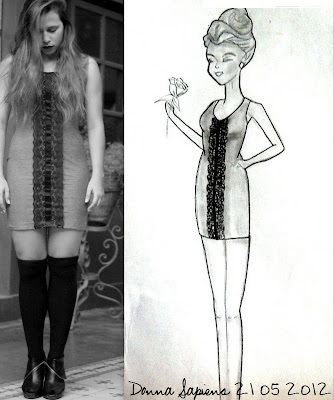 Today I leave you one of my ilustrations and the dress made by me! COMMENT AND TELL ME WHAT YOU THINK ! I like it so much !! and im very happy i discovered ur blog ! i followed u on twitter and subscribed to ur blog ! Love your blog!! I think you are very fashionable. The illustration and the dress are both beautiful!